1. What Makes the Over-the-Counter Market Different From the NASDAQ or the New York Stock Exchange? Penny stocks are inexpensive shares of stock, usually in very small companies. In principle, penny stocks work the same as other shares of stock: They represent a fractional ownership in a particular company and can be bought or sold through a broker as an investment opportunity. In practice, penny stock trading can be more complex than buying and selling other stocks, since there's often a smaller market for them and some brokers charge additional fees for dealing with them. They can also fluctuate wildly in price, and some have been involved in securities fraud. A penny stock is an inexpensive share of stock, though they're generally priced at more than a literal penny. The Securities and Exchange Commission's official cutoff used today for penny stocks is often any shares valued at less than $5, though you may see other definitions as well. 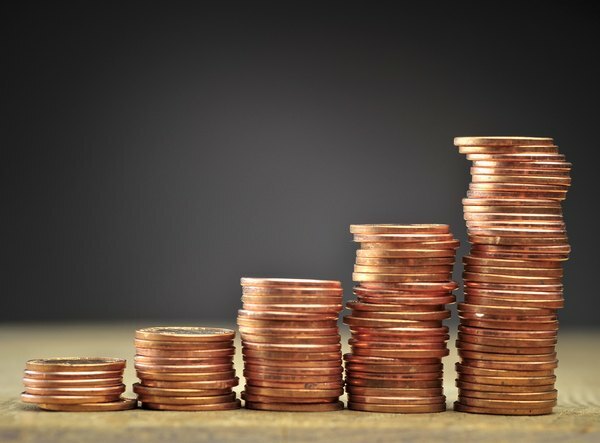 Penny stocks are also often microcap stocks, meaning they're issued by companies with a small total market value and subject to less intensive regulation by the SEC. That means that there may be less information you can obtain about how penny stock companies are doing than you'd see for other investments. They're also often not sold on large exchanges like the New York Stock Exchange or the Nasdaq exchange. Instead, they're sold through so-called over-the-counter systems, where they're less heavily regulated. Because there are often only a limited number of shares in a penny stock, it can be difficult to buy and sell shares as quickly as you may be used to with other market securities. Companies offering penny stocks are sometimes on the verge of bankruptcy or very new, such as companies offering some speculative technology. It's important to understand in general penny stocks and how they work but also what particular penny stock companies are doing before making any sizable investment in them. You may occasionally hear stock market success stories involving a penny stock in a relatively unknown company purchased on the cheap that goes on to bring investors huge rewards. That's one of the perceived advantages of penny stock investing: If a company does, in fact, do well, penny stock investors will have gotten in during the early stages and can see quite a return on their investment. Sometimes penny stocks even quickly gain value, letting short term traders do quite well for themselves. On the other hand, it's not uncommon for investors in penny stocks to lose some or all of their investments. If you do buy penny stocks, you may want to set what's called a stop loss with your brokerage. That's essentially a request to sell the stock if it drops below a certain value to avoid the risk of losing more money if it never recovers. Keep in mind that you may not immediately be able to sell your holdings for the price you want, since the market for penny stocks is, by nature, small. While you may want to invest in some penny stocks, you'll generally want them to be a relatively small portion of your total market portfolio. As with any speculative investment, avoid putting more money at risk than you can stand to lose. You may want to decide before buying the stock at what price levels, including both gains and losses, you plan to sell your holdings so you don't make an overly emotional decision when the time comes. If you decide to buy penny stocks on margin, using borrowed money to make the purchase, use extreme caution and make sure you understand mathematically how much of your money is ultimately at risk. In general, you can buy and sell penny stocks through a brokerage just as you can buy and sell any other stocks. Some brokerages may charge an extra fee for transacting in over-the-counter stocks or stocks below a certain price point, and as with all trades, you will usually be charged a commission both when you buy and when you sell. Different brokerages offer different cost structures for different types of trades, as well as other features like web and app access to trades and company information. Shop around for a brokerage that meets your needs, both for penny stocks and any other securities you see yourself buying. As with other classes of assets, you can also find mutual funds that invest in penny stocks and small market capitalization companies rather than investing in the shares directly yourself. Look at factors such as who's running the fund, its performance over time relative to other investment opportunities and the fees it charges to decide whether such an investment is right for you. Penny stock trading has historically been an area of the market particularly rife with securities fraud. The fact that it's relatively easy to shift market prices and the relative lack of regulation and scrutiny of the small companies involved make the penny stock field a natural attraction for fraudsters. Unscrupulous investors sometimes operate what are called pump and dump schemes, where they buy shares in a particular penny stock company and then promote it as an investment through newsletters, online forum posts or other outlets. Since the market is relatively small, it only takes a small number of dubious investors to buy in and grossly inflate the value of the stock. Once the value has gone up, the initial investor sells, or dumps, his own holdings at the higher price. Since there's not necessarily any real merit to the stock, the price quickly or gradually drops, and other investors lose some or all of what they put in. In some cases, the companies behind penny stocks are themselves committing fraud, lying about what sorts of business they're in or otherwise duping investors about the nature of their activities and prospects. Therefore, it's important to make sure you do your due diligence on any penny stocks you're considering buying. Avoid putting too much faith in endorsements you read online from people who might have a vested interest in boosting the value of the stock. With any stock market investment, you can pay the long-term capital gains rate on profits from stocks held for a year or longer. Depending on your tax bracket, they can range from 0 to 20 percent, which is often much less than you'd pay on the same amount of income from other sources. If you lose money on a stock, you can deduct a capital loss on your taxes. The loss is deducted first from any capital gains and you can then deduct up to $3,000 in additional losses from your ordinary income, rolling the rest over into future years. If you're buying a penny stock and hoping to sell it quickly for a gain, you may not qualify for long-term capital gains, meaning you'll pay the higher ordinary income rate. Take that into consideration when you're deciding if a penny stock investment is right for you. In recent years, some investors have put money into cryptocurrencies and digital tokens that have some of the same characteristics as penny stocks. They usually don't offer direct ownership in the organizations issuing them, but they provide a way to get in on the ground floor of a new digital currency or online marketplace. They can be subject to some of the same types of market manipulation as penny stocks, and they've attracted some of the same types of fraud. In general, you should use the same level of caution in these new types of investments that you would use with penny stocks.